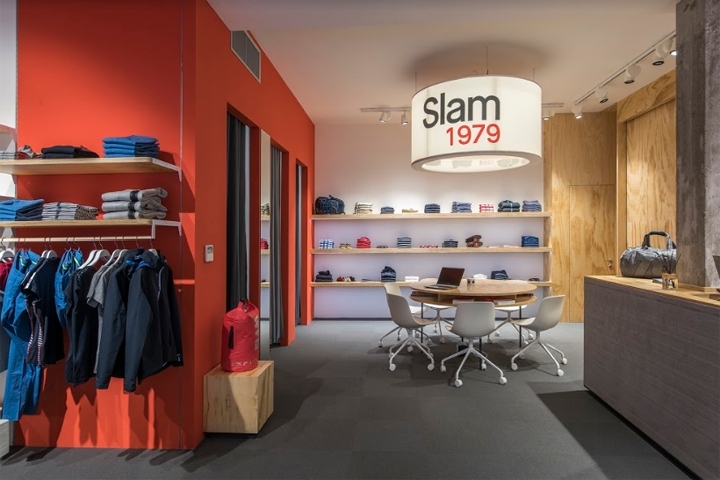 Wea Studio, based in Italy, has signed the new concept store of Slam placed in the “Piazza Azzurra” of Costa Smeralda’s Yacht Club. 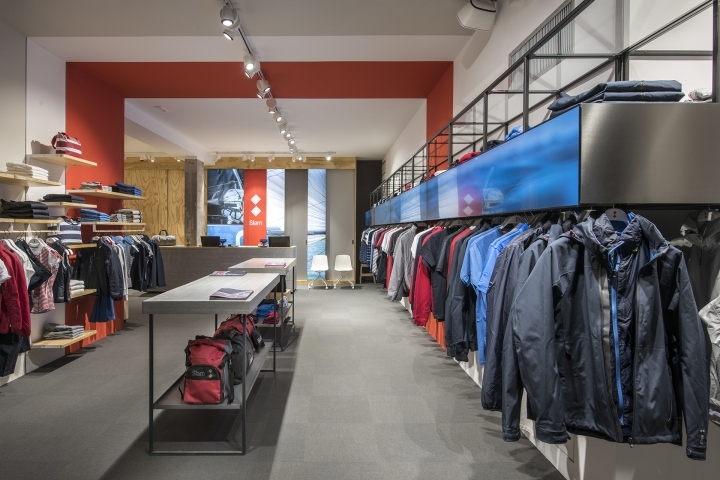 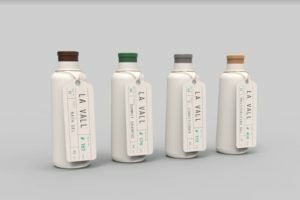 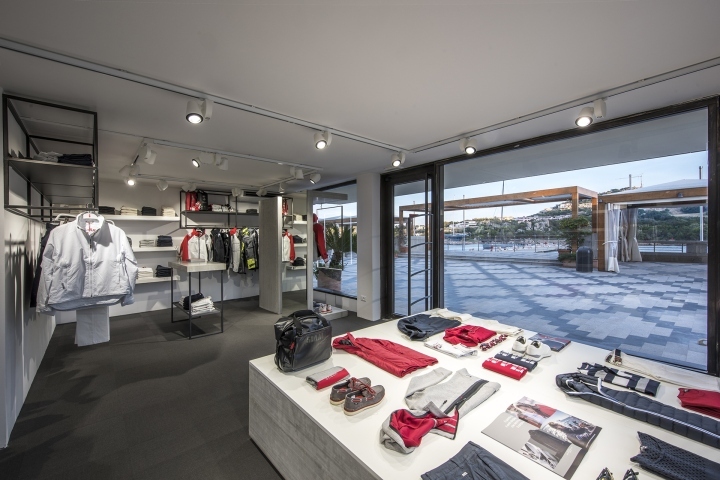 This store besides being a sales space, is a place where consumers approach the philosophy of the brand and keep up to date with the latest of sailing world. 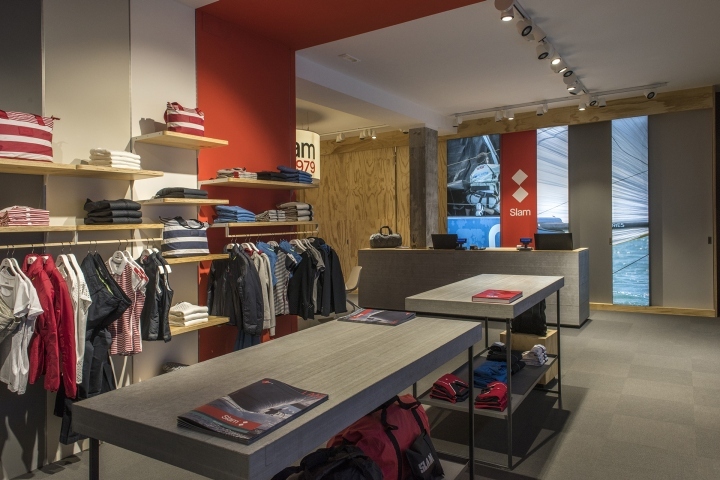 The inspiration for the project derive from the principal characteristics of this italian brand, leader of the technical nautic clothes. 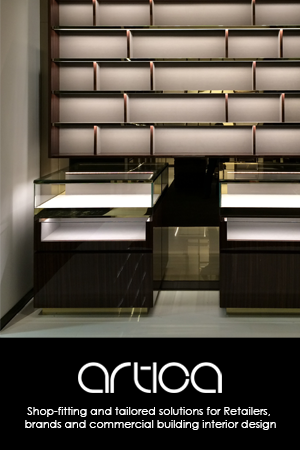 The technology has an important visual impact. 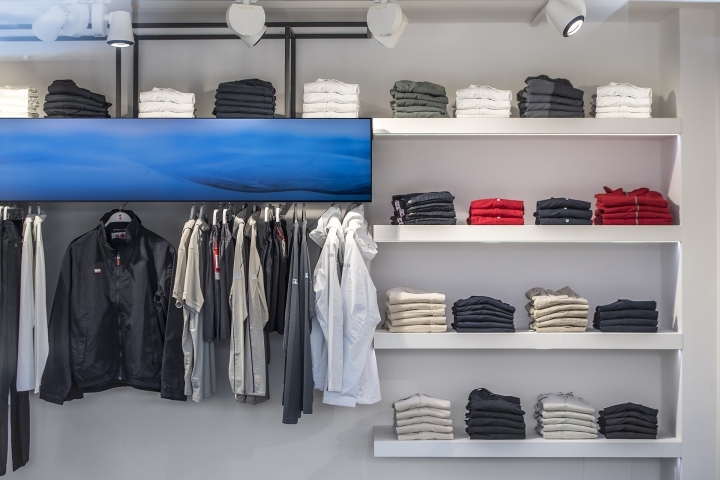 LG ultra stretch monitors were used to create a video stripe long more than 10 meters for the vision of the many sailing activities in which the brand has been engaged since 1979. 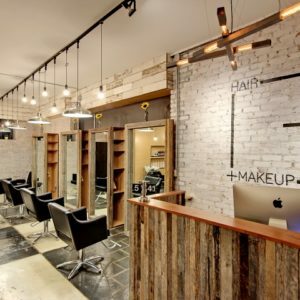 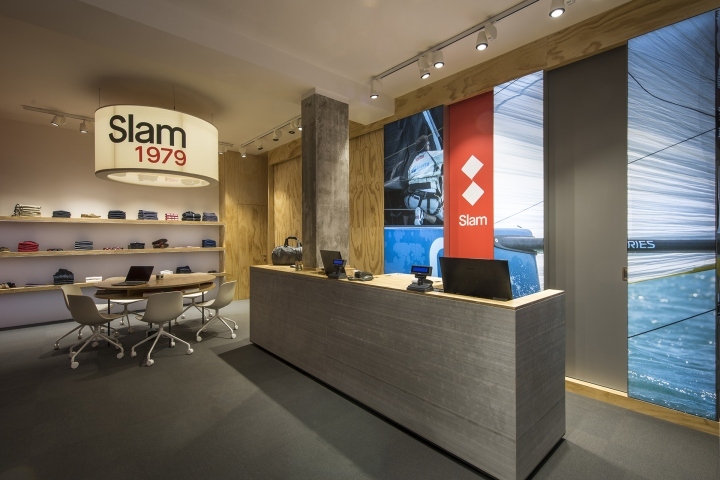 In this shop conifer plywood was used in contrast to lightweight concrete which emphasizes the technical elements of Slam. 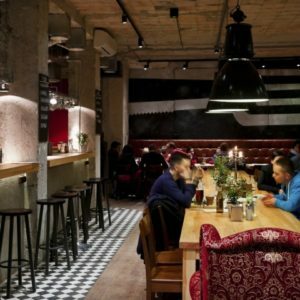 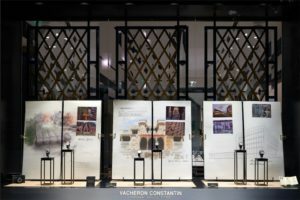 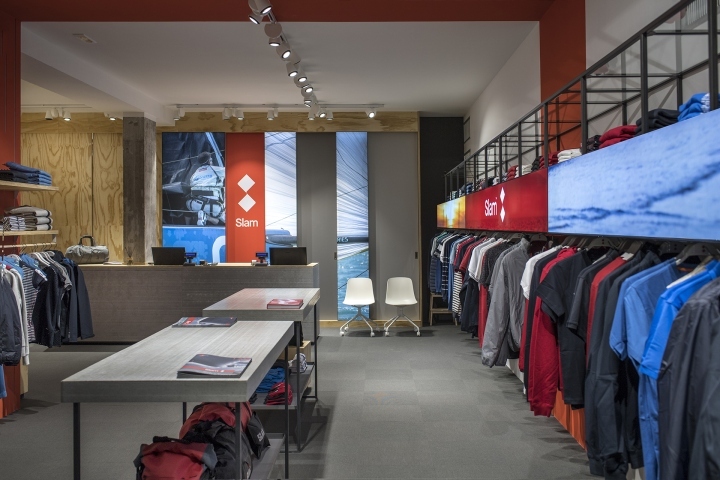 All the parts of the store such as social table, iron hanger bar, new color of the brand identity and technical area are integrated into one place that expresses the brand’s bond for sea and sail. 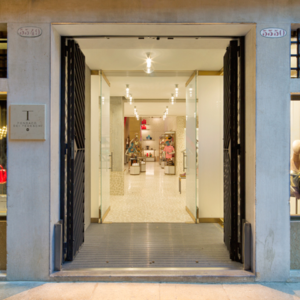 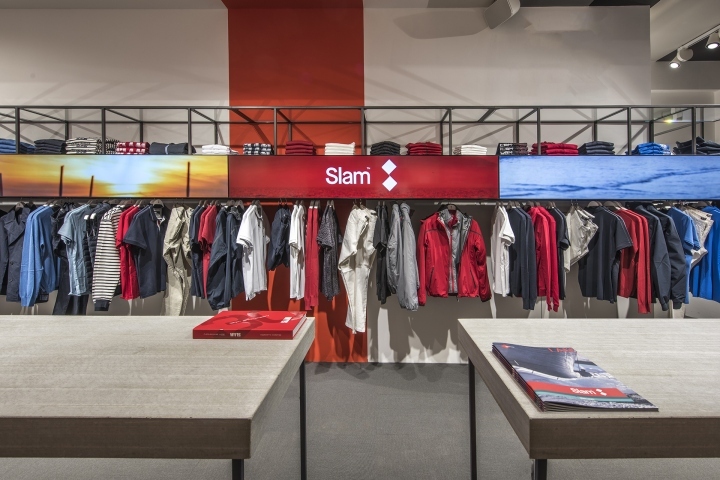 Slam want to restyle its corporate identity and the retail design is commissioned to Wea Studio; Porto Cervo’s store is the first one to be opened.